The AIA promotes a vivid and informed public interest in the cultures and civilizations of the past, supports archaeological research, fosters the sound professional practice of archaeology, advocates the preservation of the world’s archaeological heritage, and represents the discipline in the wider world. A nonprofit organization, the AIA also seeks to educate people of all ages about the significance of archaeological discovery and is committed to preserving the world’s archaeological resources and cultural heritage. Learn more. 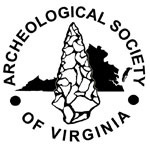 The Society for American Archaeology (SAA) is an international organization dedicated to the research, interpretation, and protection of the archaeological heritage of the Americas. With more than 7,000 members, the society represents professional, student, and avocational archaeologists working in a variety of settings including government agencies, colleges and universities, museums, and the private sector. Since its inception in 1934, SAA has endeavored to stimulate interest and research in American archaeology; advocated and aid in the conservation of archaeological resources; encourage public access to and appreciation of archaeology; oppose all looting of sites and the purchase and sale of looted archaeological materials; and serve as a bond among those interested in the archaeology of the Americas.